Looking for a healthy snack? Look no further than the walnut. It tastes great and is very good for you. It has twice the antioxidant content of any nut. This is just one of many foods out there that are excellent at keeping your body in strong condition, and it would be very easy to incorporate them into your diet. A study conducted in the United States determined people who consume the recommended amount of Walnut each day reduce the risk of heart disease, lowered the possibility of getting diabetes and certain cancer types. 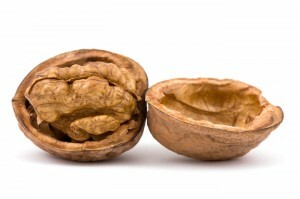 Those in the study did not gain weight from adding Walnuts to their diet. This is just one simple Snack. Add in some antioxidant-rich citrus and fruit, a little bit of fun physical activity and some knowledge about more healthy foods and lifestyle choices, and you have equipped yourself with the foundation you need to have a happy, healthy life. Simple things like this equip youth with the knowledge of how important it is to eat healthy and take some time to go out and play, get out there and get fit. We have put in a great effort to develop programs that contribute to our youth’s wellbeing and, although a tough nut to crack, we are making inroads to succeeding in this endeavour.